I’ve added a new Gallery: Kale, Ward of West March. Kale is a story I play with on occasion which was inspired by my son. A high fantasy world, build around Animism, the idea that everything has a spirit. I had thought to make it an illustrated book series, as opposed to a comic book. A comic would require much more time than I actually have. 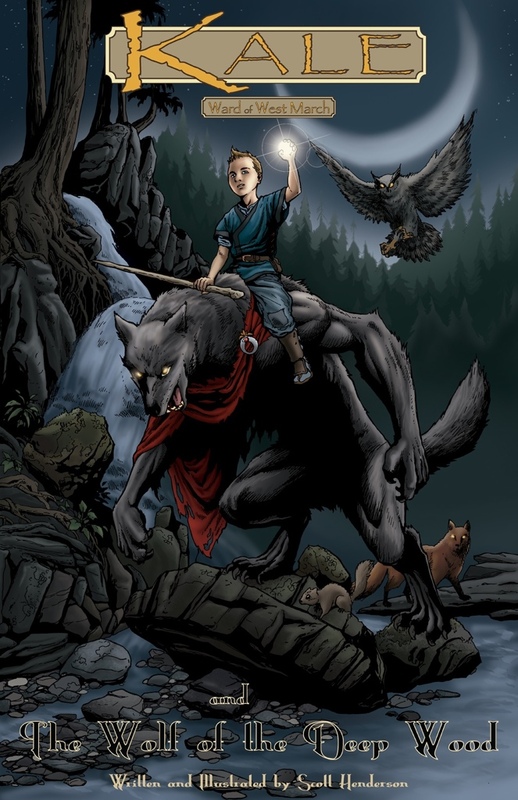 Below is my first fully rendered image of the world, with Kale riding the back of his companion, Grizlow, Wolf of the Deep Wood.